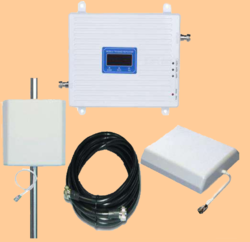 Prominent & Leading Supplier and Distributor from Coimbatore, we offer Mobile Booster such as Mobile Signal Repeater, Mobile Signal Booster, Mobile Repeaters, Mobile Boosters, Wireless Mobile Repeaters, Wireless Signal Boosters and many more items. Downlink : 935 - 960 / 2110 – 2170 Mhz. Signal Amplifier : Gsm 900 Mhz + 4g 2100 Mhz Repeater Gsm 4g Cellular. 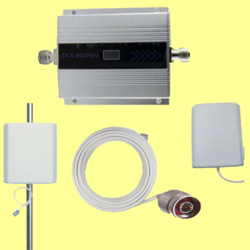 Signal Booster : Repeater Gsm Repetidor Gsm. 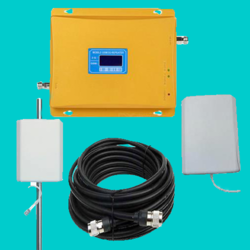 Signal Amplifier : Gsm 4g Mobile Signal. Repeater Cell Phone. · Output Power : 17 Dbm. · Signal Amplifier : Dcs 850 Mhz. Tri-band Mobile Network Signal Booster. Mini Design, Beautiful Looking & Practical. Area Cover : 2000 Sq.fit. Looking for MOBILE BOOSTER ?